One of my most significant mentors in life has been Laurel Cormack and while I haven’t seen her for so many years, touching base infrequently via electronic mail, she impacted me at my core and that means that she is expressed in everything I do…as an artist, but also as a female in today’s world. I was given this acrylic painting for a Christmas gift in 1988. 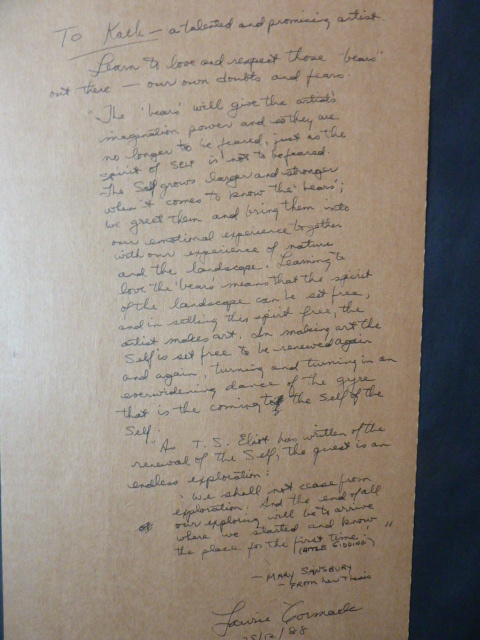 It is one of my greatest treasures…so, to appraise a value on this one feels impossible. 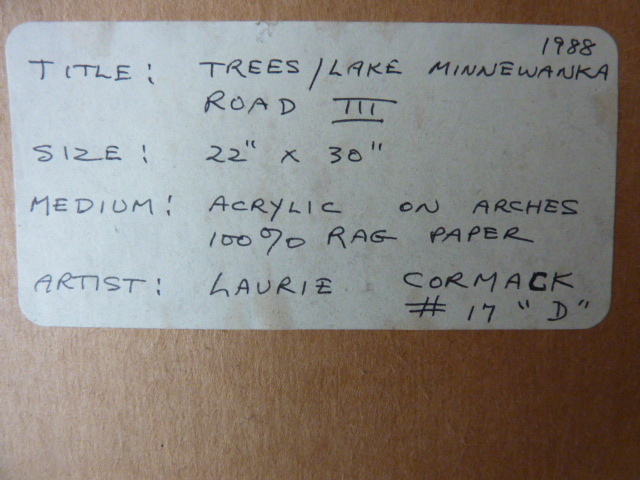 The provenance is so important to me and a guide for my work in the studio. 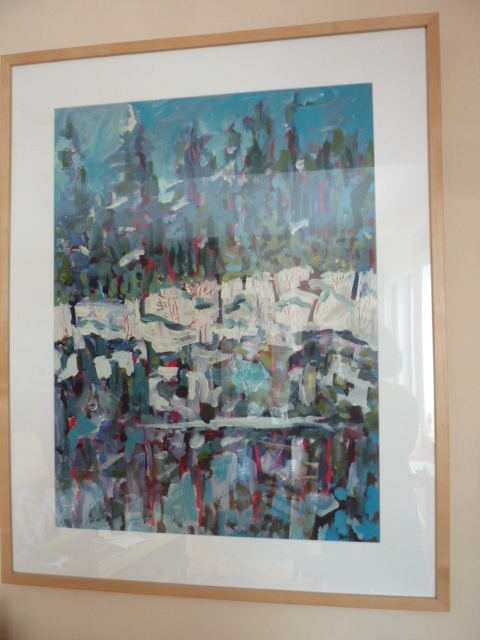 Framed behind glass, I haven’t a good quality photograph of this work, Lake Minniwanka. Learn to love and respect those ‘bears’ out there – our own doubts and fears. “The ‘bears’ will give the artist’s imagination, power and so they are no longer to be feared, just as the spirit of SELF is not to be feared. The SELF grows larger and stronger when it comes to know the ‘bears’’ we greet them and bring them into our emotional experience together with our experience of nature and the landscape. Learning to love the ‘bears’ means that the spirit of the landscape can be free to be renewed again and again, turning and turning in an ever widening dance of the gyre that is the coming to the self of the self. 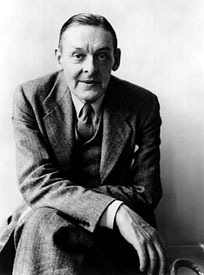 The Little Gidding is the last of T. S. Eliot’s Four Quartets. 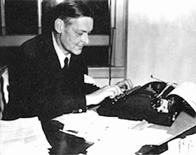 For a good biographical site on Eliot and some analysis of his poetry, go to the Academy of American Poet’s website.